The Zahorí of 4 **** stars by the Junta de Castilla y León, is a rural rental house complete with the comforts of today but maintaining the authentic taste of the people. Rest traveler, in this cottage. Let yourself be carried away by the sound of the wind, the birds, nature ... and start dreaming. 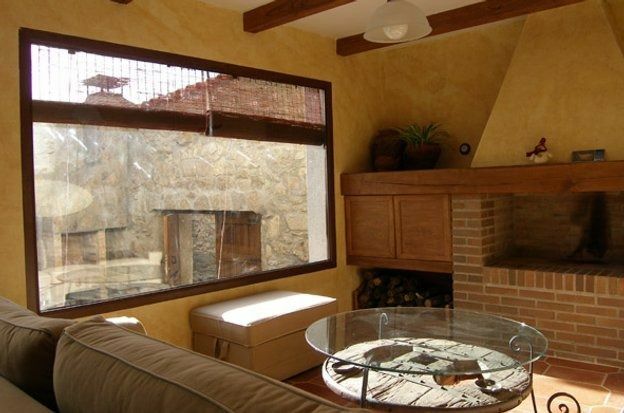 El Zahorí has: - 3 double rooms - 2 full bathrooms, whirlpool. - 1 Sofa bed for 2 people. - 1 extra bed - 1 travel cot - Living room with fireplace, dining room and kitchen. - Patio with barbecue. Nous sommes tous très contents de notre semaine. La maison présente toutes les qualités requises pour le repos et le bien être. La famille est toujours à votre disposition et à votre service.